Brune Poirson, the Secretary of State for the Minister of Ecological Transition, launched the group amid concerns that the problem was damaging the environment and costing local authorities too much to clear. Over 80,000 tonnes of rubbish are dumped in the wild in France every year, in addition to waste that is responsibly taken to one of the country’s 4,657 rubbish collection centres (déchetteries). 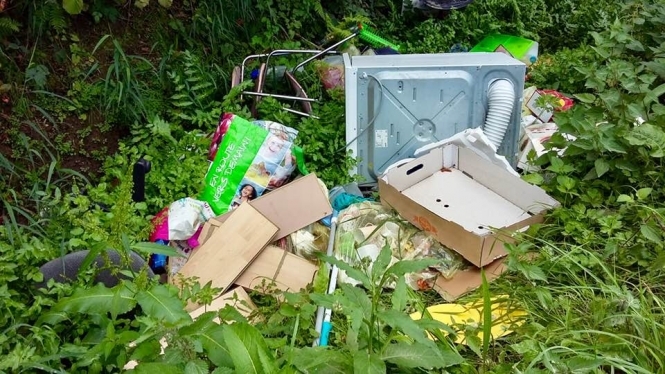 The news comes as a mayor in Ille-et-Vilaine (Brittany), recently returned a pile of rubbish to its owner, after it was discovered dumped in the local countryside. The two-metre square pile of waste included cardboard boxes, an old office chair, some non-biodegradable plastic bags, and what appeared to be a broken microwave. The dumpee had managed to leave their address visible on one of the bits of rubbish, allowing the mayor, Denis Rapinel, to coordinate the delivery of their waste back to their front door, in the town of Mont-Saint-Michel. Posting the results on Facebook, Mr Rapinel was unapologetic about his actions. He said that he wanted to “respect the work of our municipal staff” and encourage the perpetrator to dispose of the waste responsibly. Fly tipping is illegal, and can be punished by a fine of between €68 and €1,500 - but this is rarely enforced. The issue of errant rubbish has become a growing problem in France in recent months, with some councils taking strong action against offenders. In March, the capital of the Drôme - Valence - introduced a new fine of €368 for anyone found to be leaving rubbish bags on the streets; while in May, the Hérault department began using drone cameras to catch fly tipping perpetrators in the act, and imposed fines of up to €75,000. Similarly, in the commune of Thou (Charente-Maritime, Nouvelle-Aquitaine), a déchetterie has been taking action to prevent the illegal theft of white goods - for their copper and wires - by marking them with paint after their dumping. This, coupled with the installation of video surveillance, has seen theft rates at the facility drop by 80%.